Dreamlink FTA the manufacturers of affordable High Definition and Standard Definition Free to Air Receivers. Dreamlink receivers are small in size but big in features. 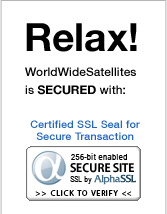 WorldWideSatellites.com offers the best pricing on Dreamlinks and will price match any lower competitor.